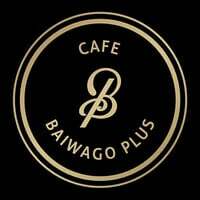 The homely scent of bread and pastries floats around Baiwago Plus Cafe, enticing everyone to get themselves comfortable in this urban-concept cafe. The dedication of its bakers can be seen from its collection of cakes, each boasting designs that range from sophisticated to whimsical. One can not only be charmed by the visually-pleasing cakes but they can also sample a range of drinks served in an elegant manner like brown sugar QQ, berry tea, and jin xuan tea.